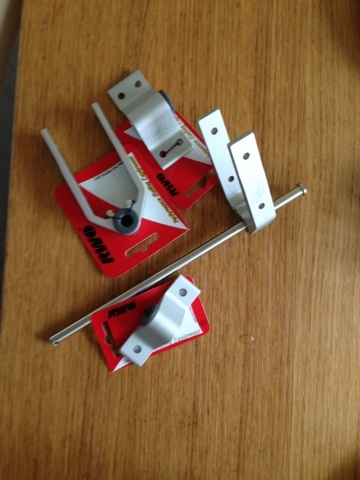 Bought rudder fittings today. The 8mm pin apparently is for a 49er and prized there after.. Looked to good to not buy though. Altogether 1000 SEK (about $150), the small boat specific parts adds up to a substantial part of the whole cost for a goat.